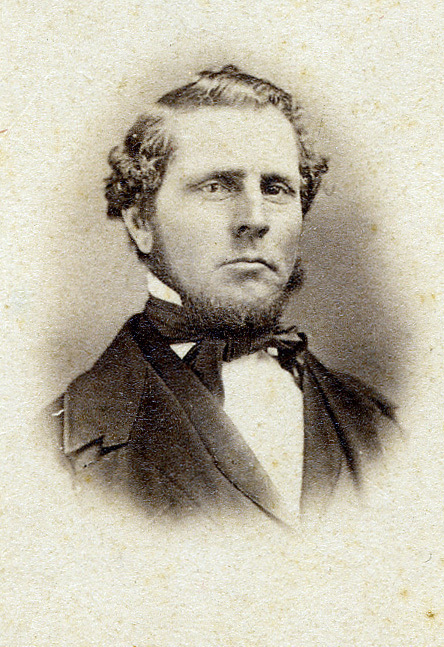 Theodore, the eighth child of Dan and Elizabeth Huntington, was born March 18, 1813 in Middletown, Connecticut. At the age of three, he moved with the family to Hadley. On February 17, 1841, Theodore married Elizabeth Sumner (1816-1885). An 1873 map of the area lists T.G. Huntington as a "market gardener and small fruit grower". He apparantly built a house on his father's land in Hadley, along what is now Huntington Road. Shortly before his death Theodore wrote a collection of reminisences he called "Sketches of Family Life in Hadley"; his niece Arria Huntinton drew heavily on these prose sketches for her book Under a Colonial Rooftree: Fireside Chronicles of Early New England. Later in life Theodore and Elizabeth lived in Enfield, Connecticut and they both died there. They had no children.